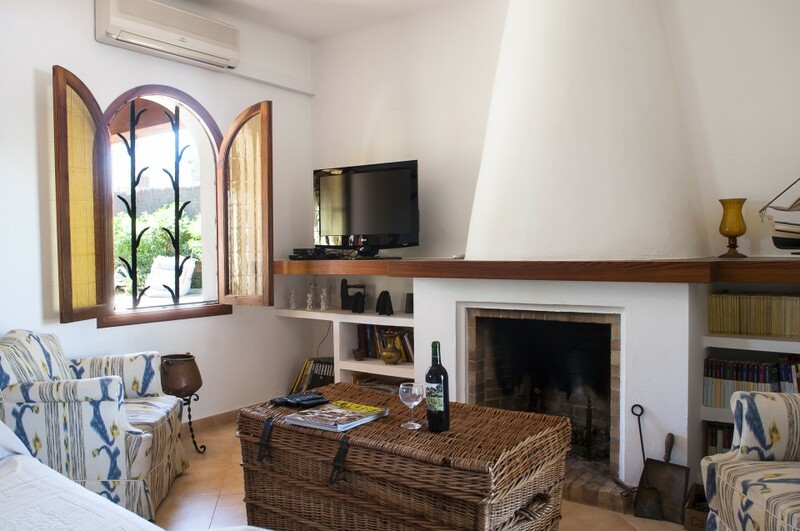 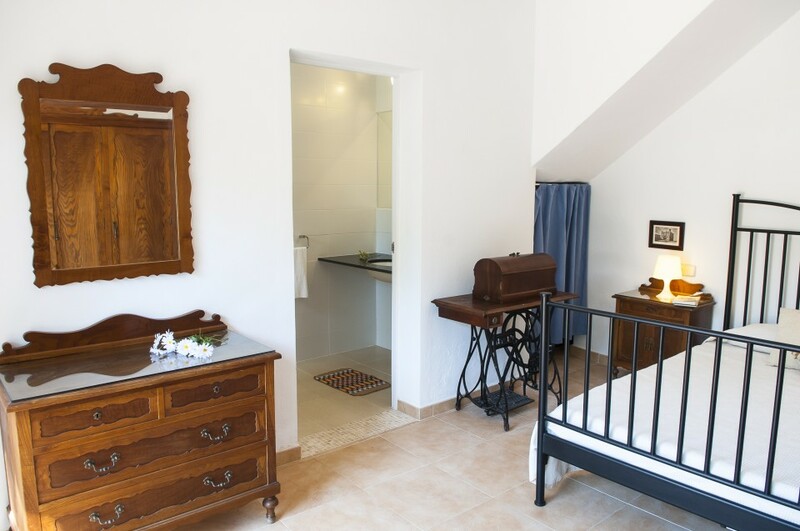 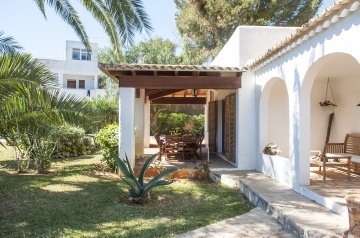 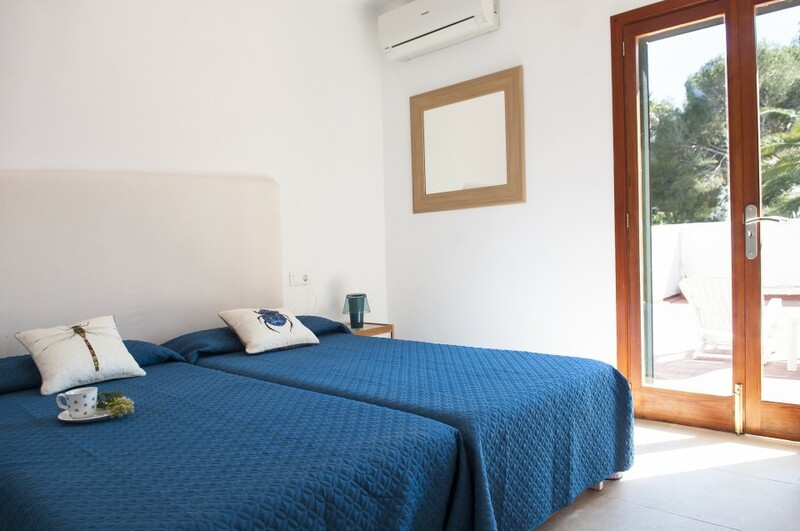 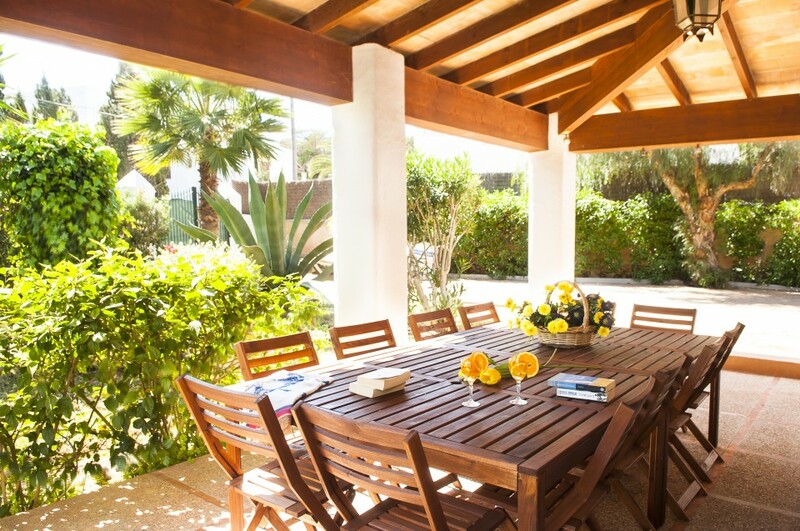 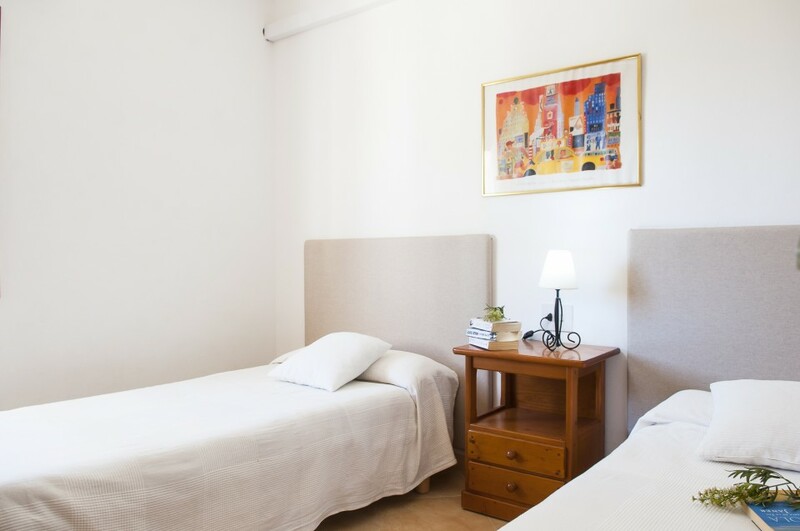 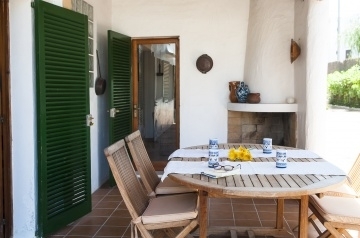 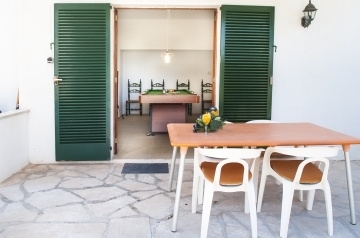 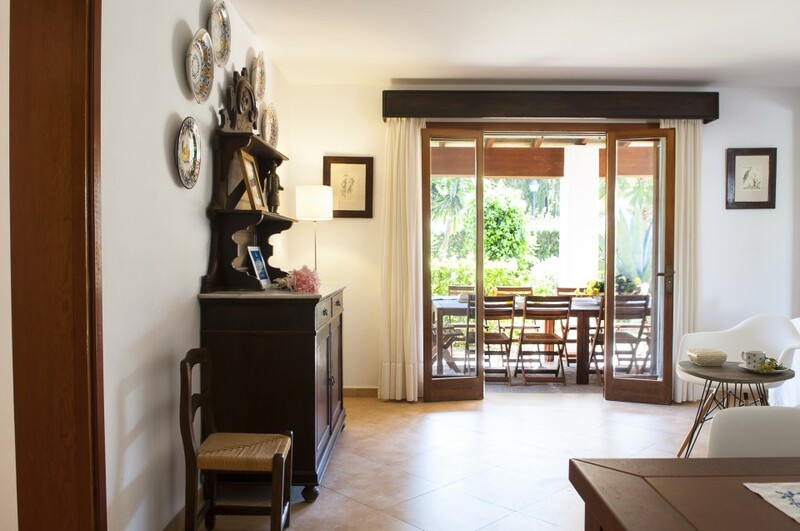 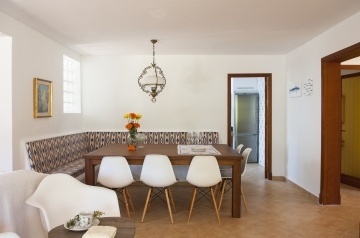 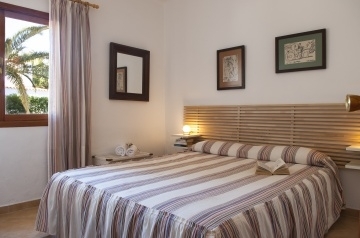 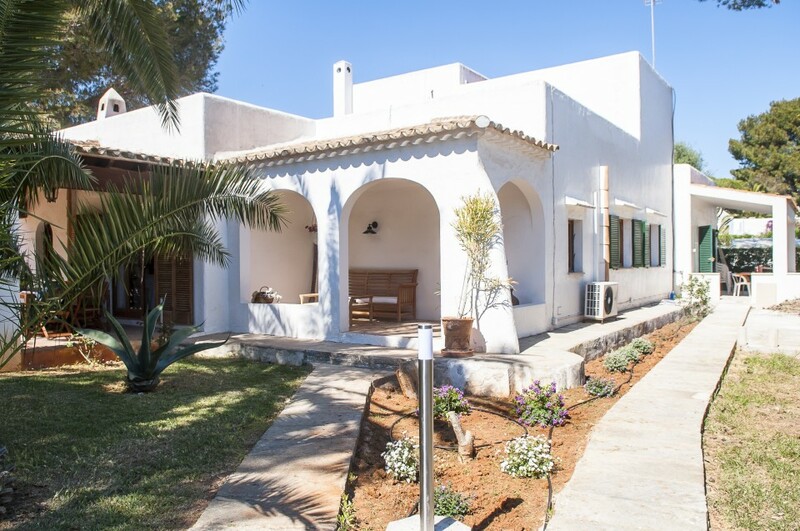 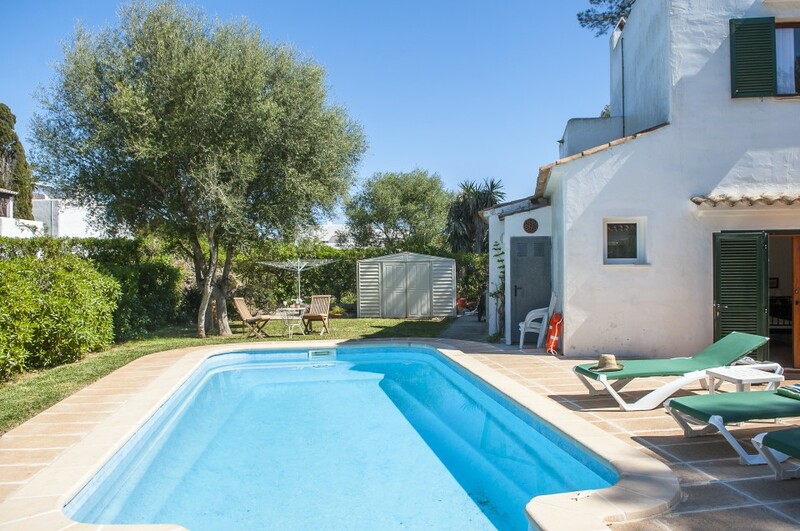 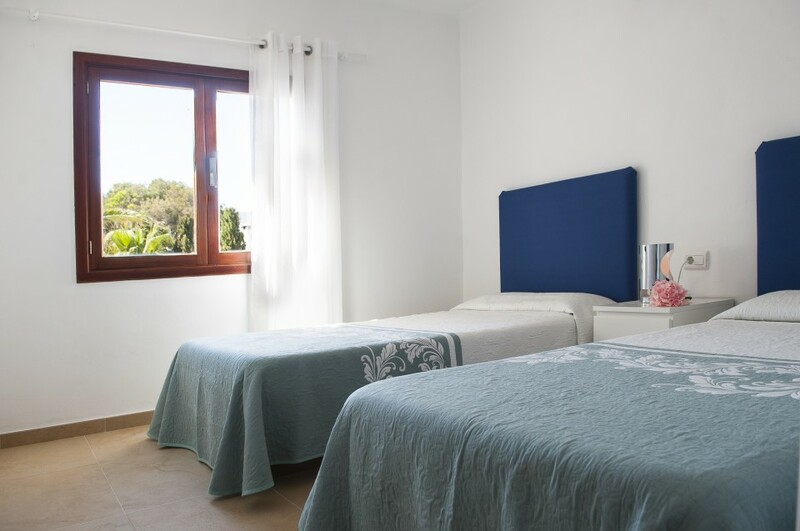 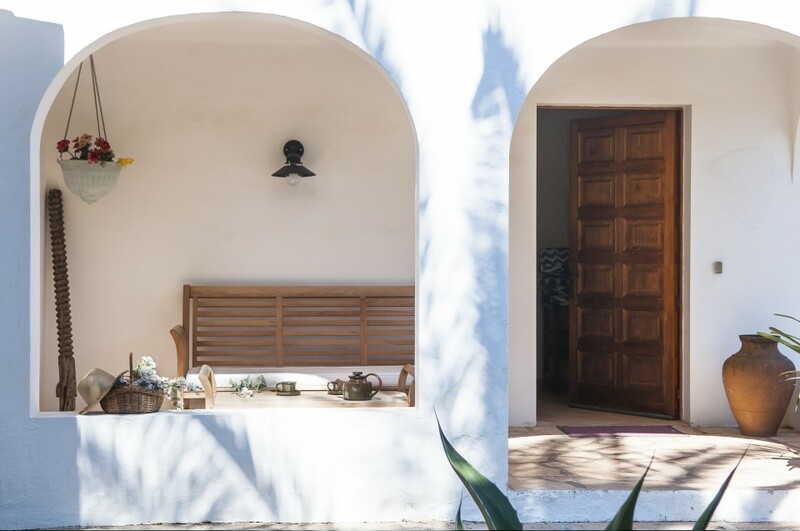 Mumare is a charming Ibiza style villa with a nice combination of antique and modern. 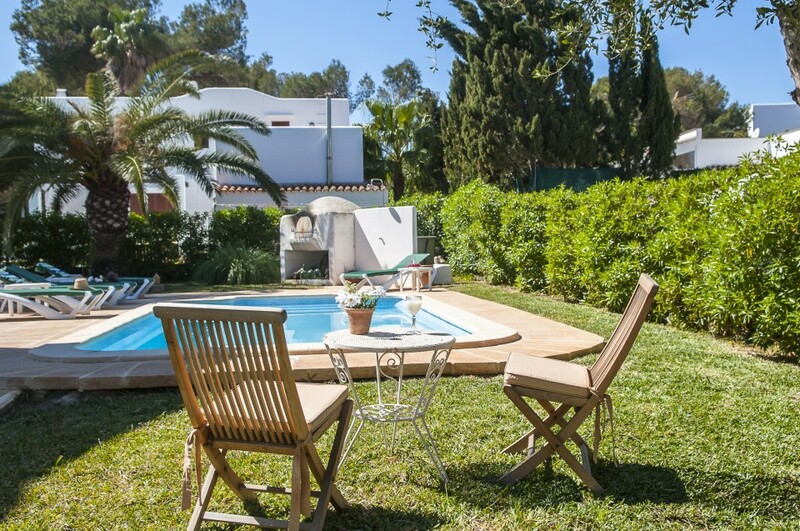 It counts with a well kept mature garden and a lot of outside space. The ground floor offers an open living/dining room full of character, with access to the front covered terrace and to the side terrace. 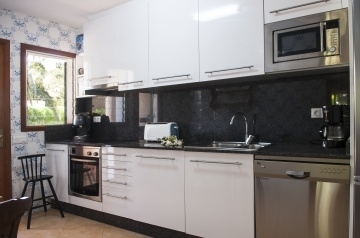 The kitchen that is well equipped also has access to the side terrace and pool area. 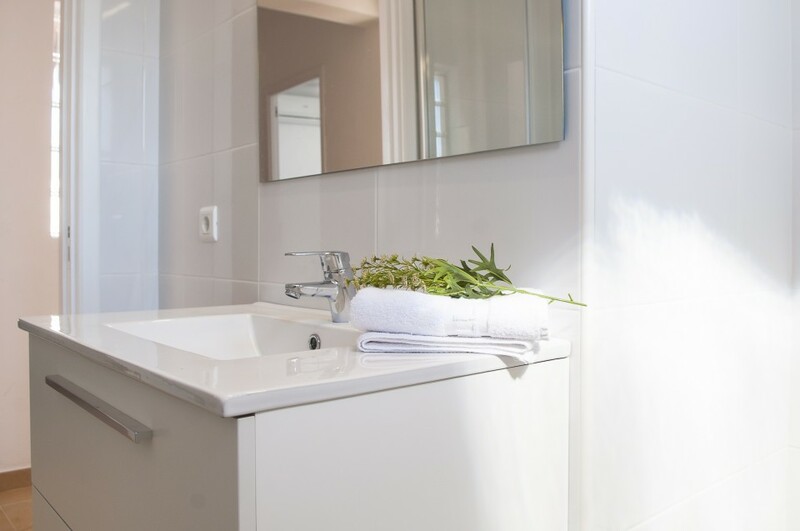 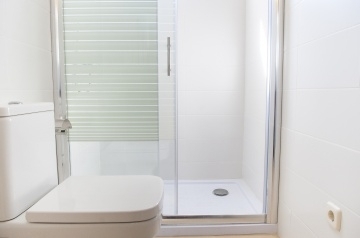 This floor counts with 2 bedrooms, a twin and a double bedroom that share a bathroom. 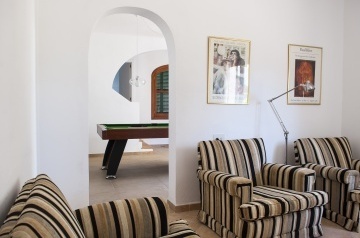 Close to these bedrooms there is a second small living room that connects to a games room with a billiard table and to a shower room. From the billiard room, interior stairs take us to the upper floor that offers three twin bedrooms that share a shower-room. 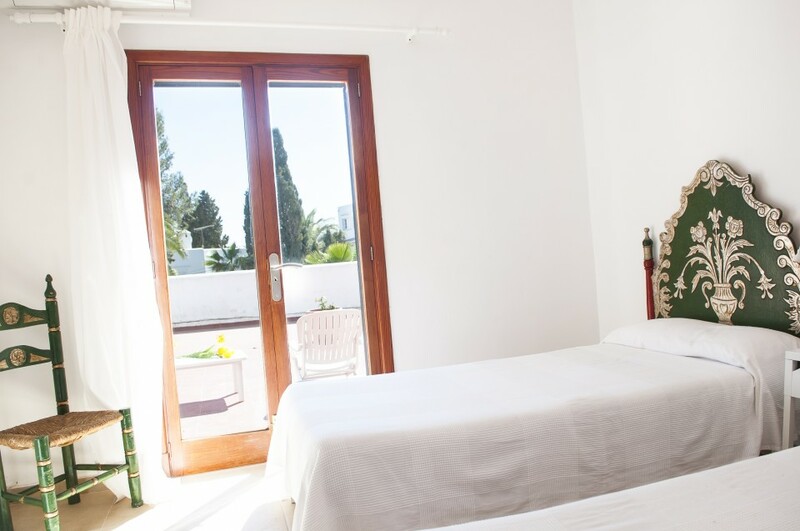 Two of these bedrooms have direct access to a shared flat roof with two little tables and chairs. 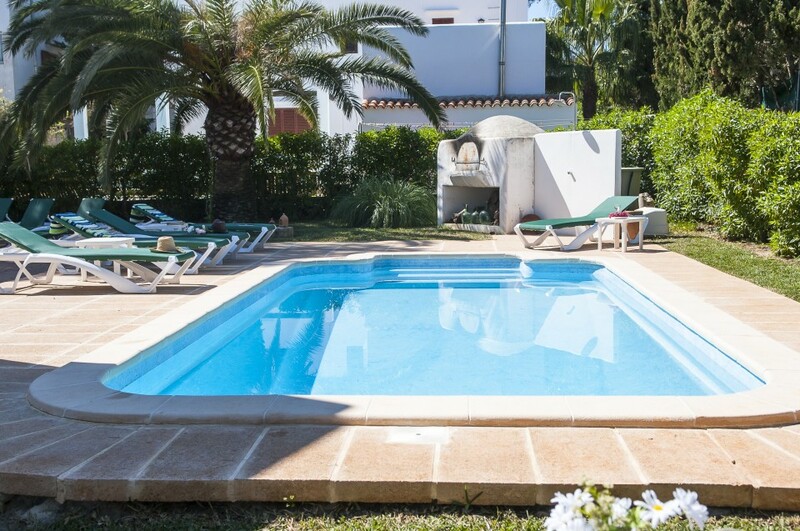 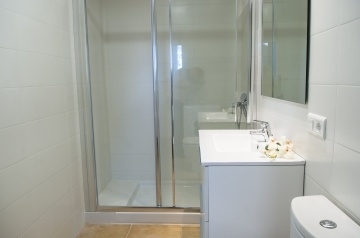 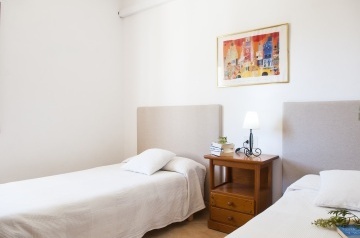 Outside on the ground floor, close to the pool there is a exterior double bedroom with en suite shower room.